Infostretch helps organizations take full advantage of today’s cloud native capabilities for maximum speed, agility and efficiency in their DevOps initiatives. Cloud Native injects a whole new set of variables into your delivery efforts, and with that comes potential disruptions and vulnerabilities at various points of your software development and operations environment. By testing, monitoring, and analyzing all the integrations involved, Infostretch minimizes risk and ensures quality digital service delivery from end-to-end. 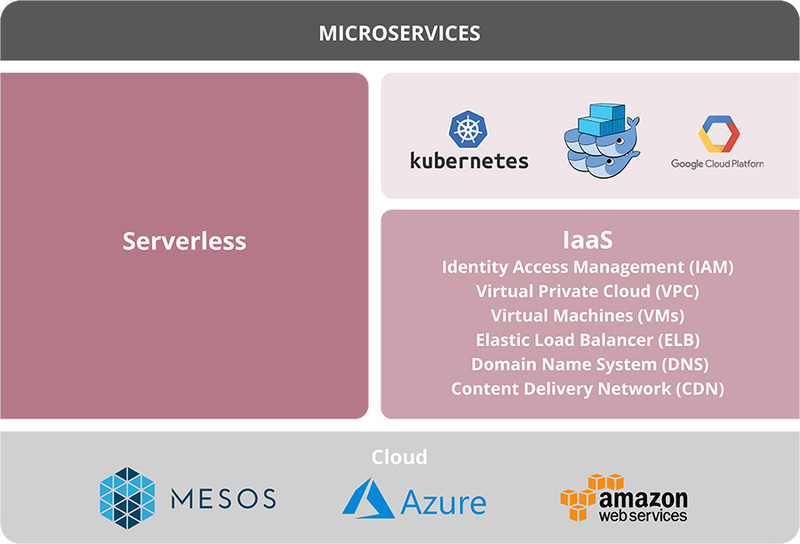 Integrated solution includes completely pluggable architecture and platform-agnostic approach that enables deployment across different cloud vendors. Cloud native dev/QA approach for innovative new wearable / ingestible treatment device leverages AWS, serverless architecture and micro-batch analytics. The Infostretch Professional Services team helps customers utilize Azure through an end-to-end development experience – coding, debugging, deployment, and monitoring and management – with integrated tools and DevOps. We also set up automated continuous integration and continuous delivery (CI/CD) pipelines to deliver new features faster – while maintaining uptime and high performance. Infostretch is part of the Amazon Web Services Partner Network (APN) on both a consulting and technology basis. We leverage our expertise on the AWS platform to help customers capitalize on all of the advantages of a Cloud Native Infrastructure. Our testing tools can be easily hosted on, and integrated with the AWS platform to help manage testing processes, accelerate test automation, and leverage analytics for more actionable insights.